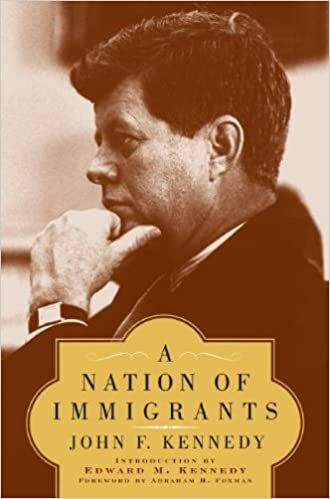 What Does the Phrase “Nation of Immigrants” Mean to You? Sound familiar? Immigration is a hot-button issue again, and in campaigns for the next presidential election we see politicians battle endlessly about it. The proper nouns have changed, but in 2015 we still wrestle with the same concepts and fears that we did in 1960. Communist is now Muslim, Cubans are now Mexicans, and the Vietnamese of the '70s are the Syrians of 2015. We decided to ask people in Seattle what the phrase “nation of immigrants” means to them. Here is what they told us. Take me to the video at the top of this page. Although we were careful to ask interviewees about the phrase “a nation of immigrants”, without fail their first comments were about the present immigration debate, the plight of Syrian refugees and Islamophobia rather than the idea of national identity. Older participants quickly recognized the actual phrase, though younger respondents seemed more enthusiastic about the ideal. What does the phrase, “Nation of Immigrants” mean to you? Tell us in the comments below. John Kennedy hit the nail on the head. Even in the late 19th Century, the white folks who got here in Colonial Days, or in the early 19th century or later were hesitant to see folks from Eastern European countries, from Sicily, from anywhere folks who did not have blue eyes and pink skin, arrive on these shores. To me, being a member of the immigrants who first came on the Mayflower and on the "second boat" and then in the mid to late 19th Century, it just means that except for the Native Americans, we all came from somewhere. We get to be proud of that somewhere, but we must always keep in mind that when Native Americans say "You have to give the land back," they mean it and we need to figure out how to do it. I have a plan, but the nation is too poorly educated currently; we do not have enough folks who can think their way through complicated issues to come up with a solution or to understand the way to do it. We will have people of good will eventurally who will figure it out, I am confident.